Front light/ Accessory fitting bracket. 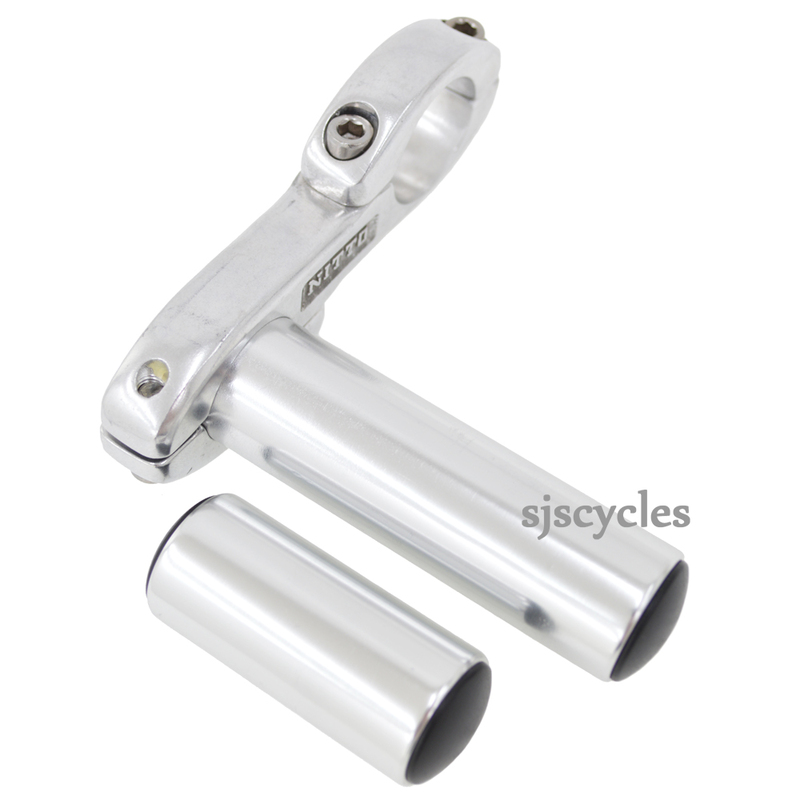 Clamps to 26.0mm diameter handlebars. Extends lamp mount 50mm away from handlebars. Comes with two lamp mount bars, one is 50mm in length the other is 90mm. Lamp mount bars are 23.8mm in diameter. 103grams with wide lamp mount bar.